Now fly at Rajdhani train fare. Yes, you read it right. Air India matches its ticket fares to that of Rajdhani train fares. Air India aims to attract more fliers and achieve higher seat occupancy in its flight. 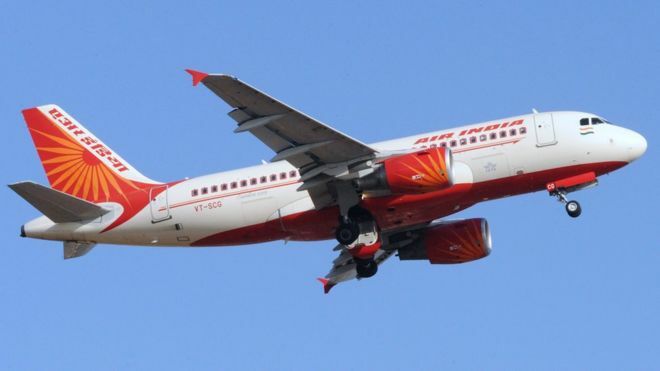 As part of the pricing strategy, Air India will drop fares on four key routes: Delhi-Mumbai, Delhi-Chennai, Delhi-Kolkata and Delhi-Bengaluru, four hours before the departure of flights to these destinations. Air India Chairman and Managing Director Ashwani Lohani said the move is aimed at providing relief to the passengers from last minute sky-rocketing fares and also to fill the vacant seats. "Our objective is to fill these remaining seats as well. This can be achieved with such affordable fares. In addition, this would also help us increase our passengers' revenue" Mr. Lohani added. Open from June 27 to September 30 for Economy Class, the tickets are only for one-way fares. The super fare tickets can be booked only within the last four hours of departure of a flight from the Air India booking offices in the city or at the airport, or through the AirIndia.in website. Getting out of Delhi last minute is impossible. Don’t worry, Air India is here to help. The Super Fare for last minute travelers is likely to find many takers. We checked the Delhi-Mumbai route for July 11 and we were surprised! A very affordable Rs. 3,884 all inclusive. That’s exactly the Ranjdhni train fare. We did the same for a Delhi-Kolkata route. And we were shocked! Flyers will get frequent flier miles and will also be applicable for upgrades. However, the seats will be limited and subject to availability. The Air India site says on some routes there might be even lower fares available. Air India has an average load factor of 74 per cent across its domestic network while the seat occupancy on these routes stands at around 80 per cent. Air India's decision to lower fares is likely to give jitters to private carriers who are accused of increasing fares to 2-3 times of the normal fares for the last-minute bookings. Well, the iconic Maharaja of the sky is here to stay! Last minute bookings anyone?